It’s official. 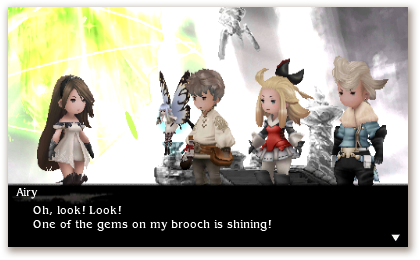 Us Westerners are being doubly rewarded for our patience, firstly with the game itself and secondly with the game being an enhanced version, which Square Enix has called Bravely Default: For the Sequel. Considering the game’s Western release delay allowed for this updated to take its place, I think we can all forgive Square Enix for ignoring us. It’s like when your boyfriend forgets your anniversary and then surprises you with a sports car, or something. This new version (which is not really a sequel, despite the name) will boast over 100 different upgrades to the original game. 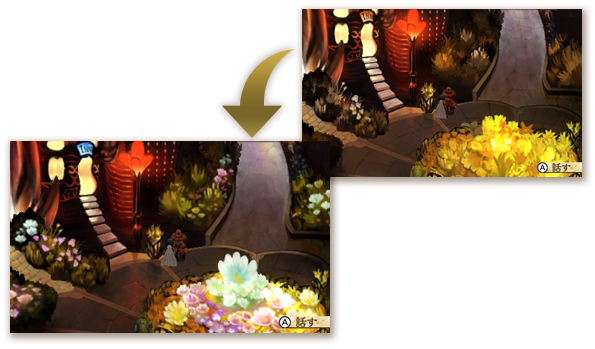 These include better graphics on the town map, more character interactions, additions to the main story, different language settings (including English and Japanese voice acting), and various battle tweaks. Something that’s present in this new version that I’ve never seen anywhere else is the option to actually change your random encounter rate. For a long JRPG player, that’s equivalent to playing god. Additionally, we can now change the battle speeds and make use of an auto-battle system, which would pretty much make it like Four Heroes of Light. I seriously don’t remember the last time I’ve been this excited for a game before. It’s a nice feeling. The game will make its European debut in late 2013, while us North Americaners will have to wait until some time in 2014. I hope that means like January 1st, 2014. Oh yeah, and Japan will get it on November 5th.